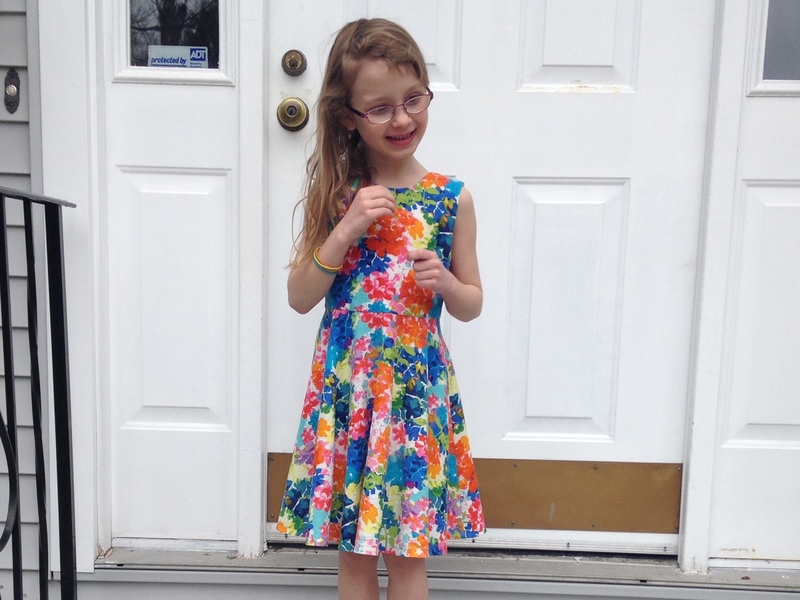 Even though I had bought a couple potential Easter dress fabrics, none of them were really inspiring me for kid dresses. In desperation, I hit up Joanns and remembered their (surprisingly good) linen selection. 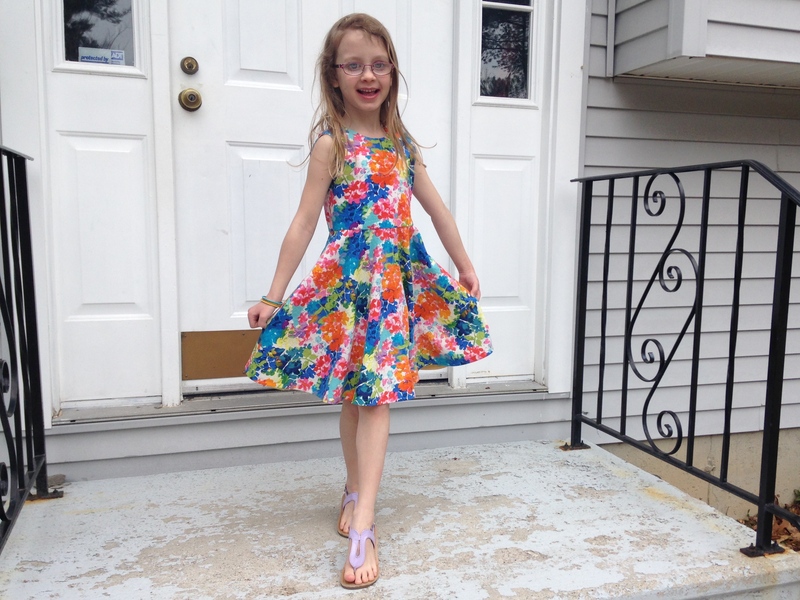 Isabella is a tiny 7-yr old, and she wanted fabric that “wasn’t too pink.” She prefers yellow and blue, and she’s loudly intolerant of anything that doesn’t meet her expectations. Fortunately, she approved of my fabric choice! I choose New Look 6118 because I like the high neckline of the front paired with the dramatic scoop of the back. Also, this bodice had no darts or shaping, which is perfect for my very straight-torso’d daughter. 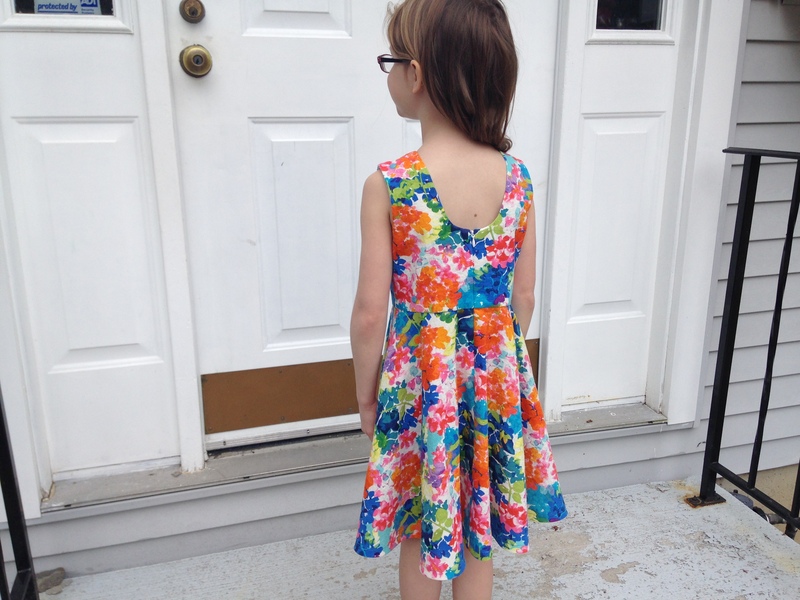 I had wanted to do a gathered skirt, but she insisted on twirly, like her sister’s dress. Can’t blame her for that! This girl is absolutely tiny. She’s always under the 10th percentile for weight, and 20th for height. This makes both buying and sewing clothes for her a real challenge. 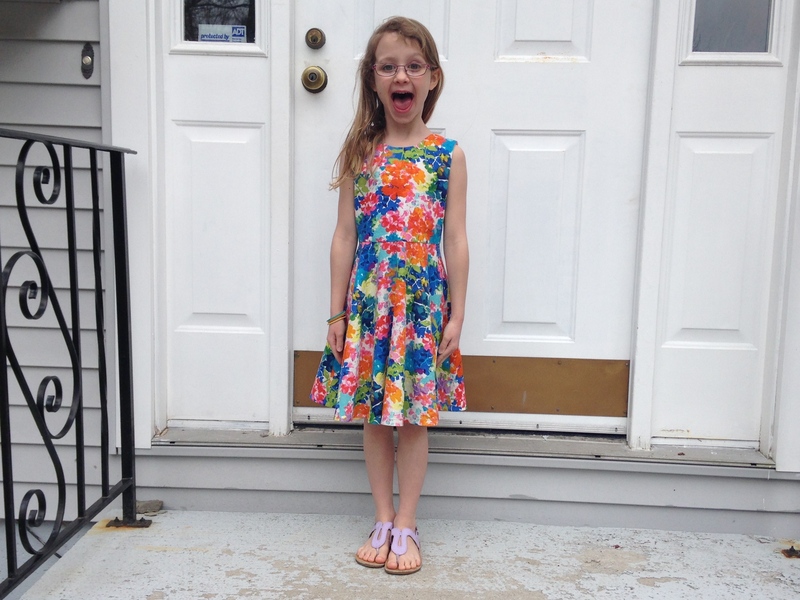 I only recently pulled the last of the 4T sizes from her closet, mostly on principal and the fact that her closet is stuffed with hand-me-downs, not because they no longer fit. On the NL size chart, she measured about a 4 in width, but a 6 in height. To make it work, I cut out a 4 and then lengthened the bodice pieces. Even at that, the dress is plenty roomy, but it should fit through the whole spring and summer. I ditched the back buttons and inserted an invisible zip instead. The fabric print is busy enough, I didn’t need buttons for any special effect. For the 3/4 circle skirt I was able to use the same draft from her sister’s dress, just slightly adjusted to fit this bodice. The hem is finished with bias tape. 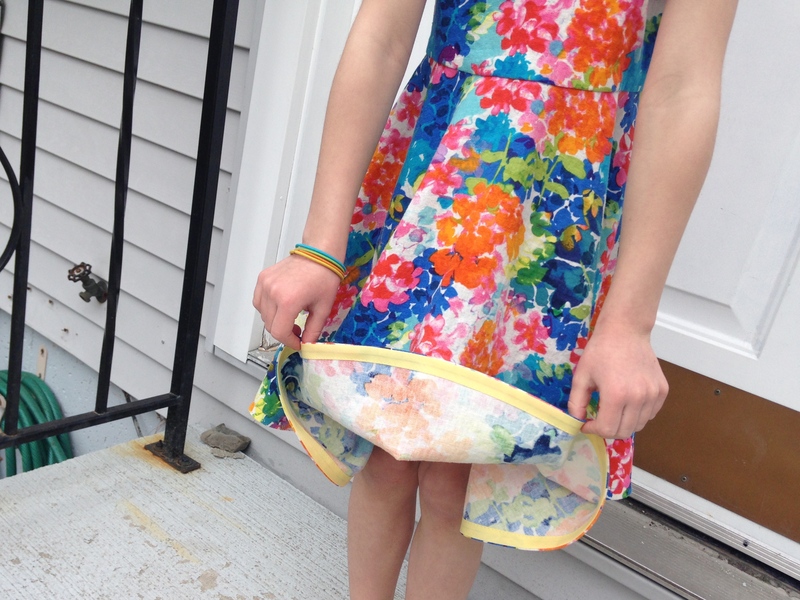 It both gives the hemline structure, and makes it super easy to hem. Plus, it was a way to sneak in the yellow she wanted. This dress is getting high marks from the girl, and I’m super happy with it as well! As tempting as it was to skip the pattern alterations, it just wouldn’t have fit otherwise. I mean, yeah, that’s a pretty obvious statement, but I guess I’m lazy when it comes to sewing for the kids!